Call us today to find out more about our Preferred Employer Program! Select your ideal living space from one, two, and three bedroom apartments for rent at Peaks at Woodmen. Easy luxury infuses every room and corner, with rich hardwood flooring, granite countertops, custom cabinetry, and polished brushed-nickel finishes. There’s room to accommodate your lifestyle, with generous walk-in closets and available garages. Cable is included in our Media Package, simplifying your accounts. Available vaulted ceilings mirror the alpine splendor of magnificent mountain views. Your living experience becomes the pinnacle of warmth and comfort with the addition of an electric fireplace and hearth. One, two, and three bedroom layouts are designed in a variety of configurations to match your lifestyle and desires. 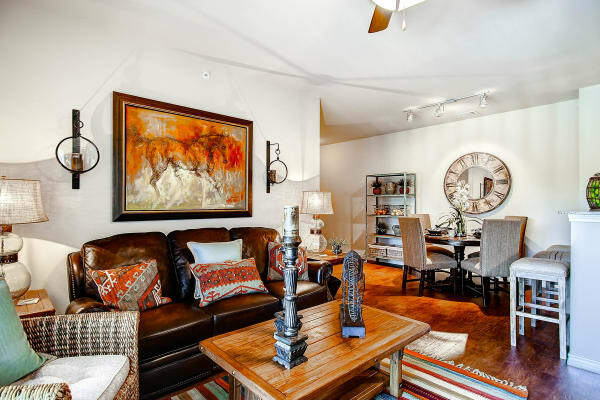 Choose a one bedroom option from apartments measuring 759 square feet and 904 square feet. Two bedroom apartment homes are sized from 1,109 square feet to 1,236 square feet. The three bedroom floor plan at Peaks at Woodmen Apartments covers a generous 1,374 square feet. Every floor plan features a chef-inspired kitchen equipped with stainless-steel GE Energy Star rated appliances, contemporary granite countertops, rich custom cabinetry, and a tankless water heater. Select the features and floor plan that are meaningful for you, whether you love the idea of afternoons in the sunroom, or anticipate evening sunsets with a mountain backdrop from your private balcony. 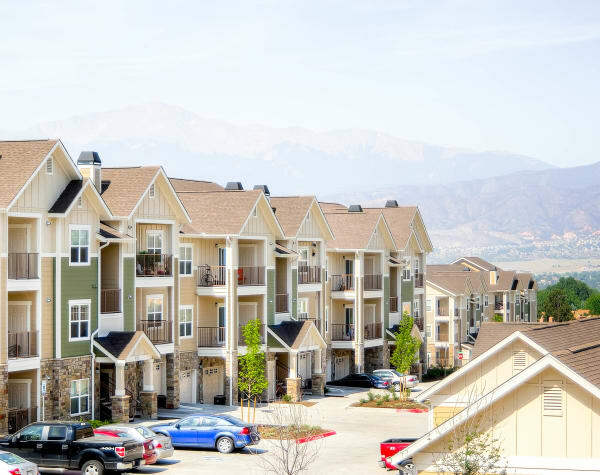 Check in with our Colorado Springs, CO, leasing office to find out more about spacious floor plans at Peaks at Woodmen Apartments, your destination for mile high living near Schriever AFB.